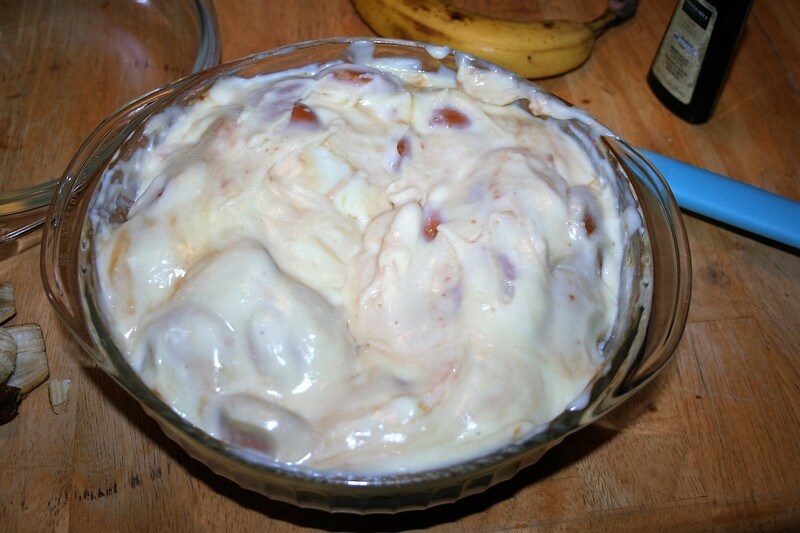 Homemade pudding NOT from a box, Nilla Wafers, and bananas. Not as difficult as it may seem and the results are delicious. 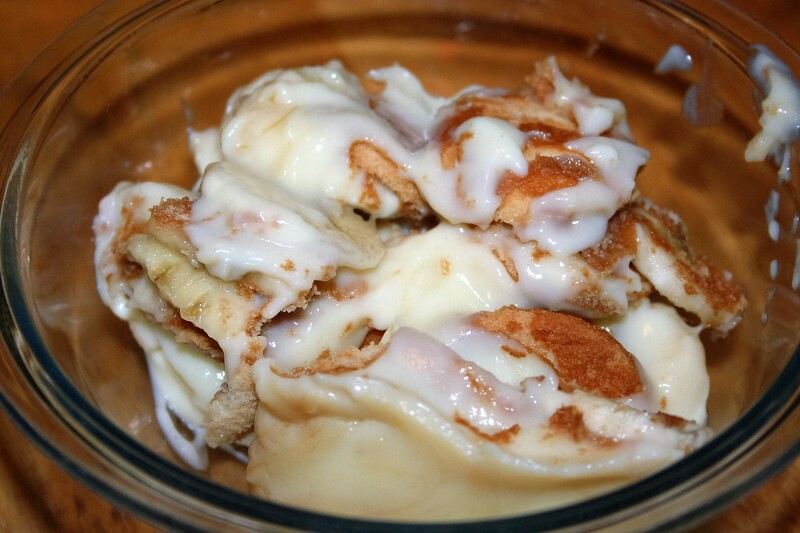 The banana pudding I grew up eating has layers of crushed graham crackers, bananas, whipped topping (Cool Whip), and vanilla pudding, preferably the cook and server rather than the instant kind. I really like this because it is a very light dessert. I especially like it at Thanksgiving and Christmas when I prefer to eat more of the main meal instead of the dessert buffet we provide. 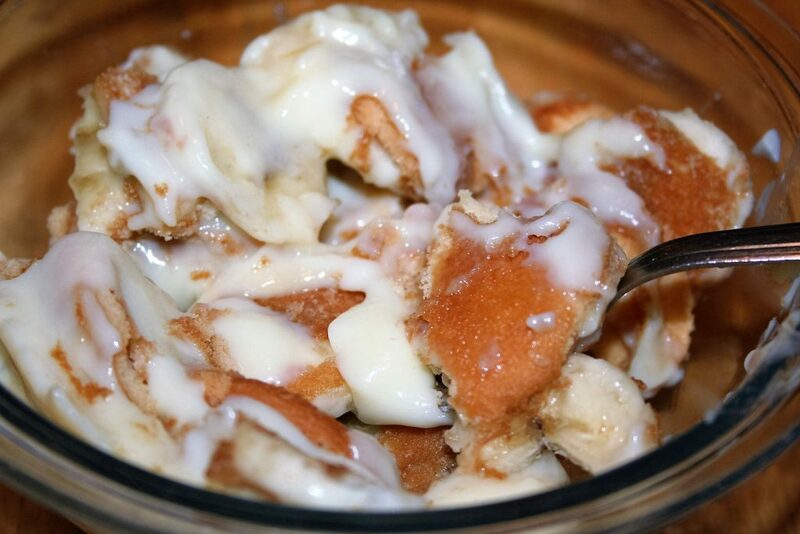 This banana pudding is massively different than that one. This one uses Nilla Wafers instead of crushed graham crackers. This one has no whipped topping. This one makes the pudding from scratch. And this one can be eaten warm but is also very good cold. I would not prefer to eat it after having eaten a big meal though because the amount of Nilla Wafers in it changes its consistency from mostly pudding, making it denser but still very yummy. I made this over the weekend and was too full to eat it right away. The rest of the family though, really enjoyed it. Mike ate his warm but Tiffany and Sean opted to put theirs in the freezer to chill it rapidly. Then they proclaimed it delicious! Begin by layering Nilla Wafers in the bottom of a medium bowl. I use a two quart pyrex dish but it is rather full. Oh, I turn the cookies upside down because of the curve of the bowl and the curve on the top of the cookies. 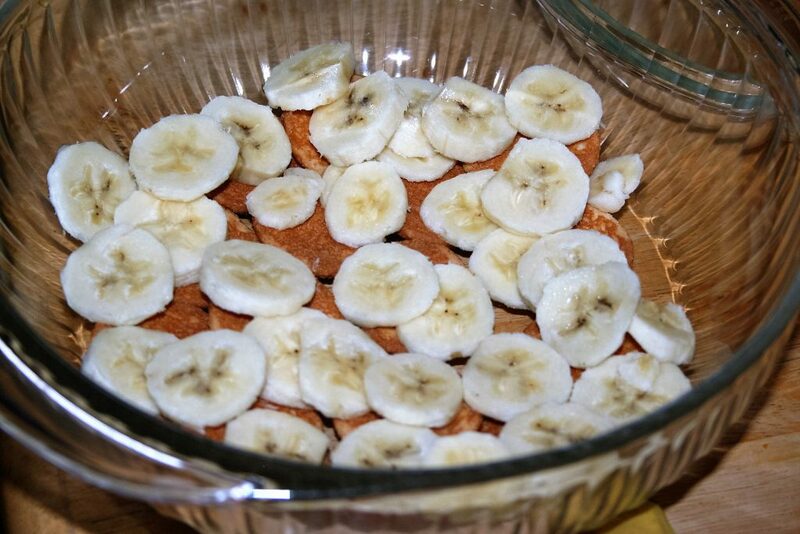 Then add a layer of bananas. Repeat layers with remaining cookies and bananas, ending with cookies on top. Notice that I turned the top layer of cookies right side up. Now we move to the double boiler. If you don’t have one, you can use a bowl over a pot but I recommend getting one. They don’t have to be expensive to work. 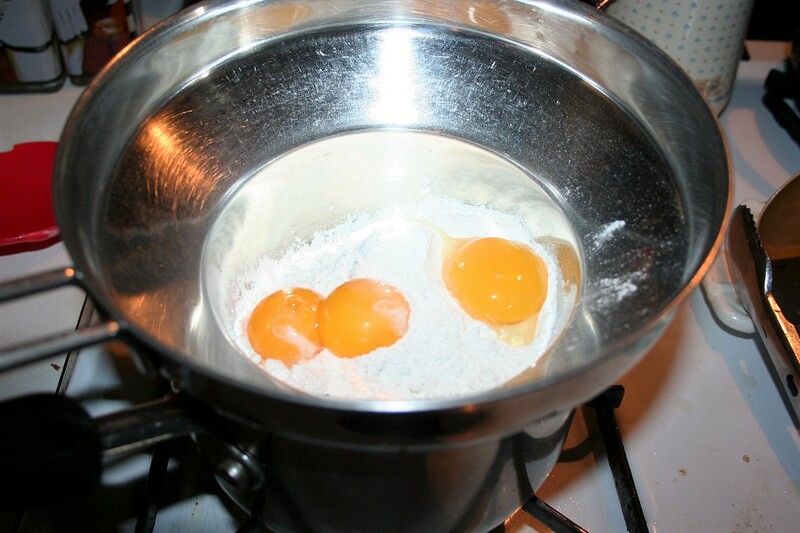 Put the sugar, flour, egg yolks, and salt into the top pan/bowl. 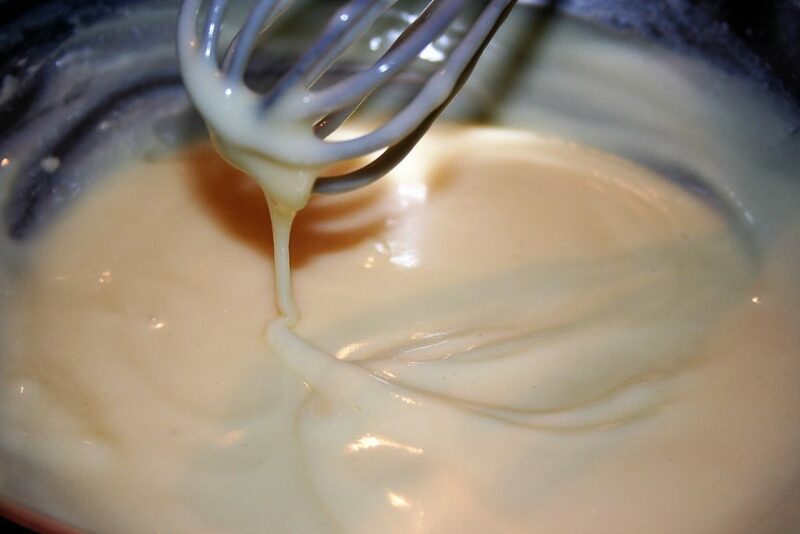 Then add the milk and begin whisking. 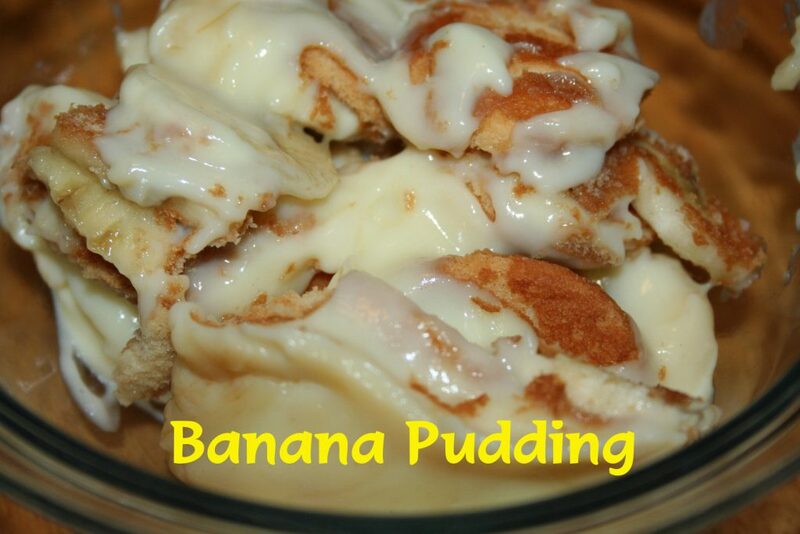 Then pour the pudding over the cookies and bananas. Can be served immediately, warm or wait until it has chilled and moistened all those Nilla Wafers. The choice is yours. 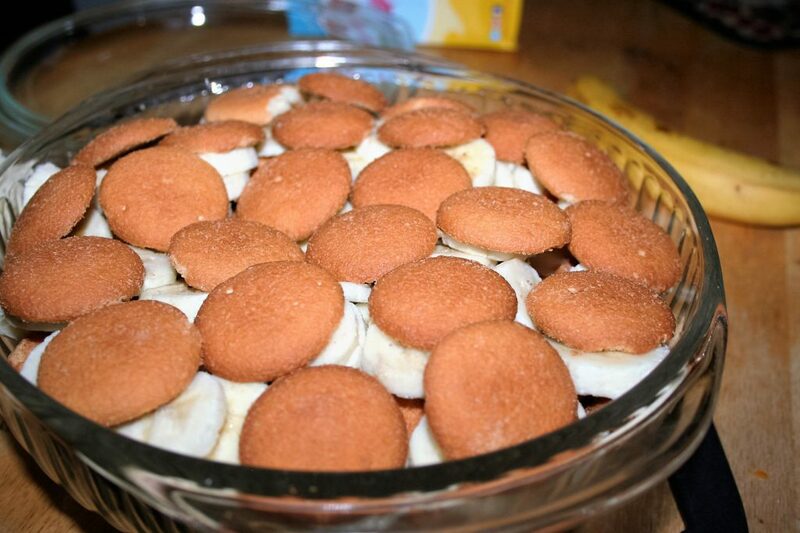 Layer Nilla Wafers and bananas in a medium size bowl. Pour over Nilla Wafers and bananas. Let it sit about 5 minutes to soak into cookies. 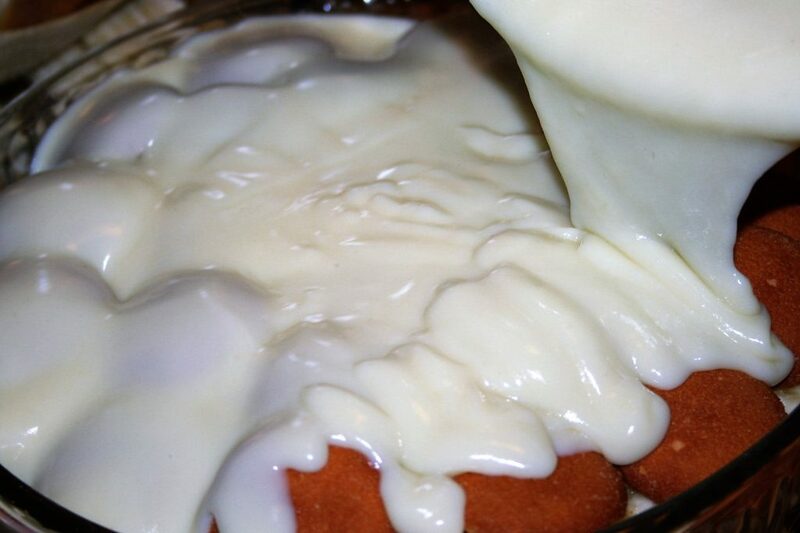 Okay, I just dug up where I originally found this yummy recipe and apparently, I do let my pudding get too thick. I’ll try to remember that for next time but in the meanwhile, it’s still yummy!! !